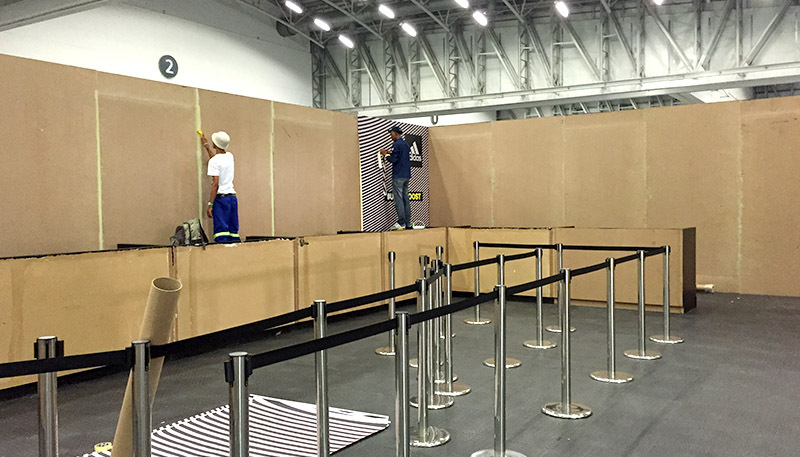 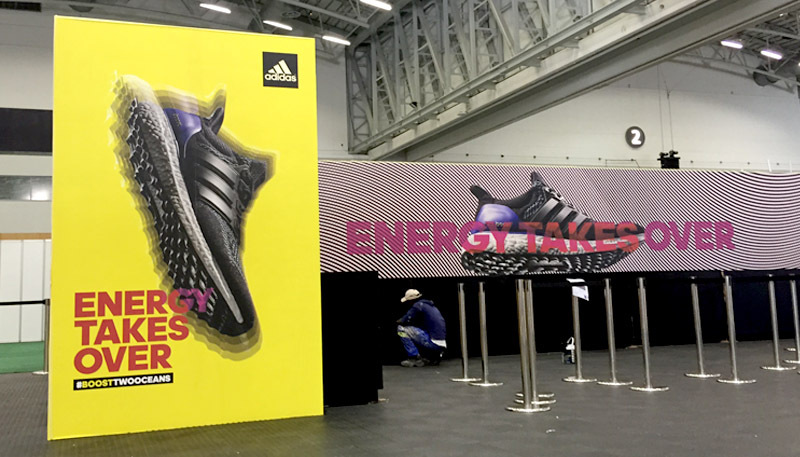 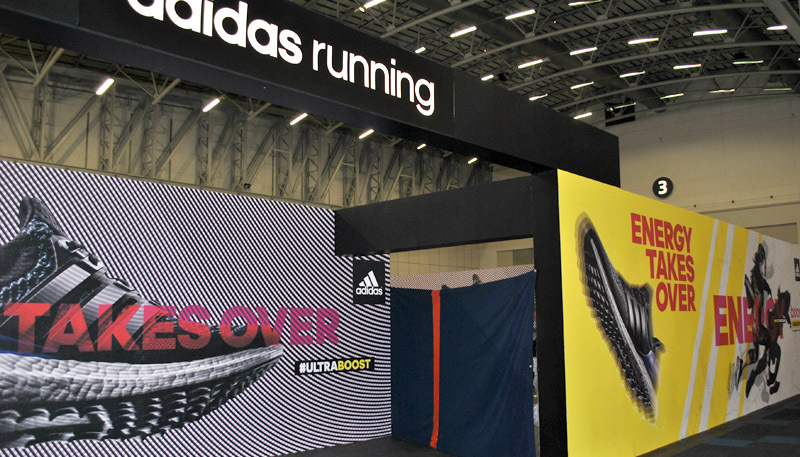 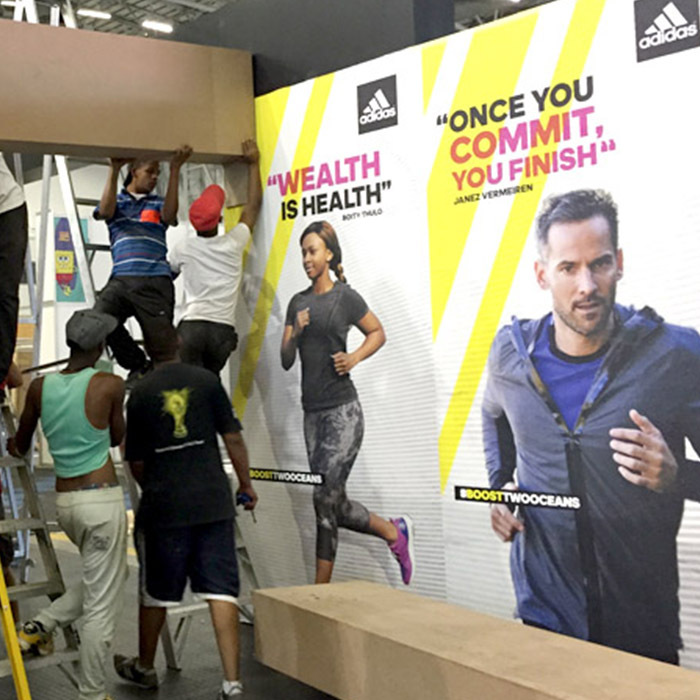 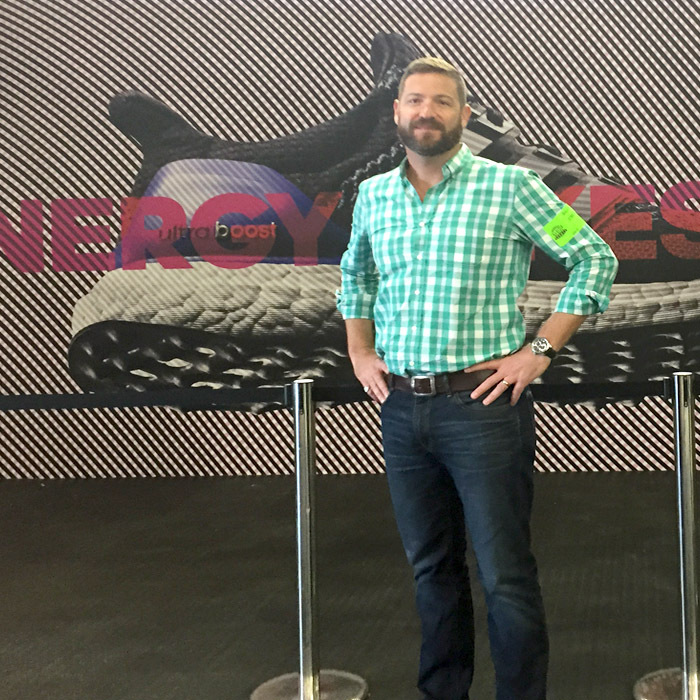 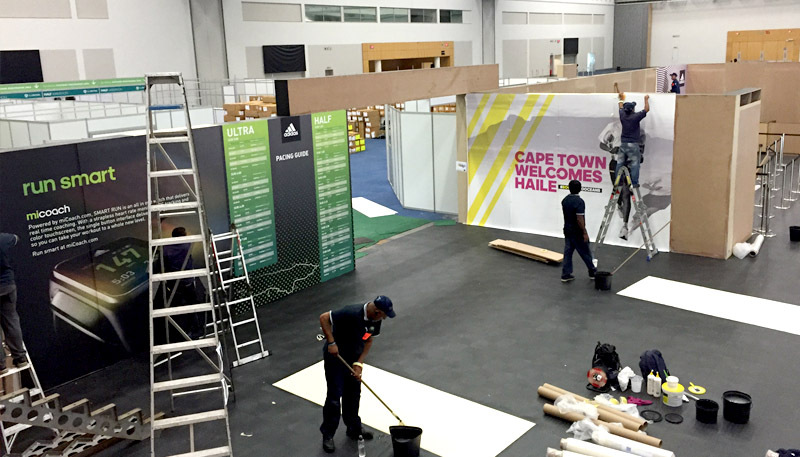 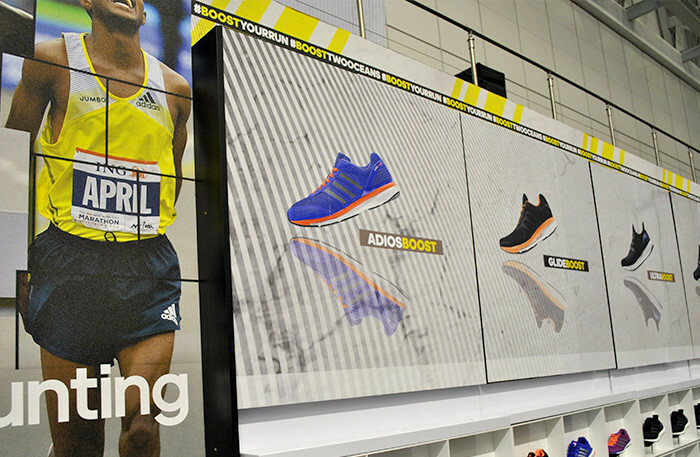 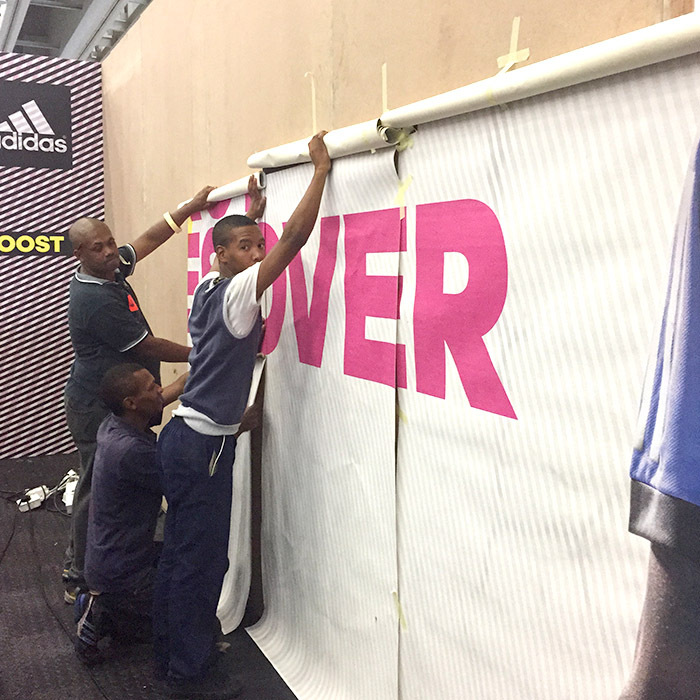 Through Kirmack Design, Clarion Retail was once again afforded the opportunity to brand the adidas stand (for the 3rd year running) at the Old Mutual Two Oceans Marathon exhibition that took place last week.With tight turnaround times and only two days to brand the stand before thousands of participants came through the expo, our skilled applicators worked throughout the night to apply the various 700 square meters of wallpapers and vinyl’s to showcase the adidas stand – the biggest at the expo. 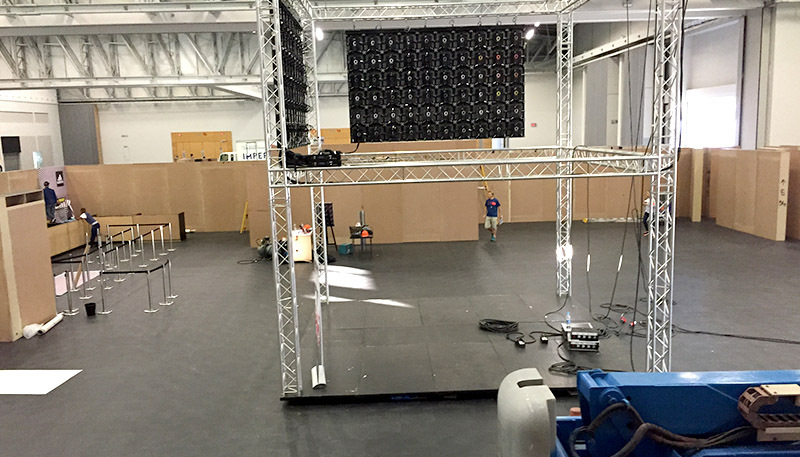 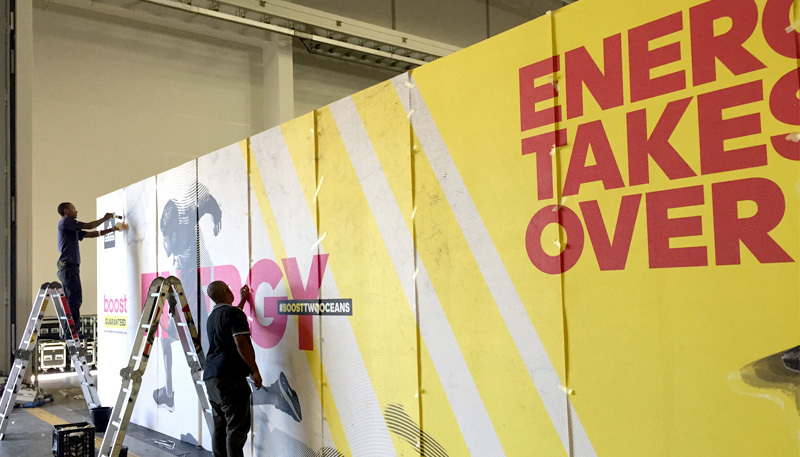 Whilst on site and due to the nature of events, there are always last minute changes that need to be made. 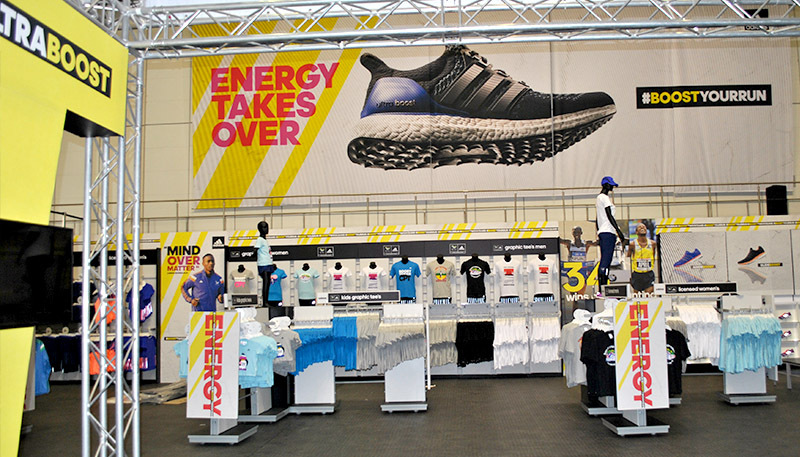 The Clarion Retail team took these changes in their stride, and ensured that the new requirements were printed and delivered back to expo within a few short hours.The Clarion Group facility operates 24/7, with large volume printing capacity giving Clarion the edge on short turn around times. 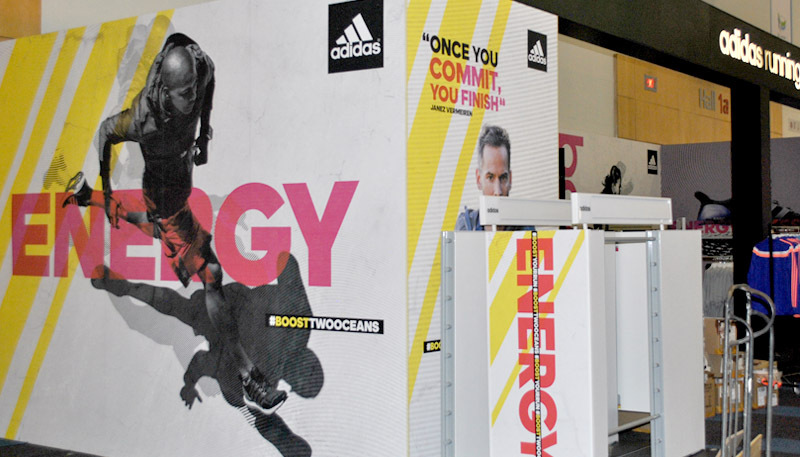 Coupled with the efficient planning by our print production team, we were able to meet the client’s requirements, and the end results were phenomenal.